Since few people argue that mental health professionals can treat people or do research without some sort of diagnostic system, we’ll have to make friends with latest version of the Diagnostic and Statistical Manual. But how are ordinary clinicians across the country adapting to its specifics? As someone who’s given dozens of workshops on DSM-5 and trained thousands of therapists in its use, I’ve had a front-row seat on how psychotherapists have reacted to the changes it means for their practice. At a time when medical technology has become increasingly adept at keeping people alive, some people are voicing a feeling within a growing part of the population that the goal may not always be keeping a terminally ill person alive at all costs. But even though there's support for the idea that, under certain circumstances, it might be more humane to help people at the end of life bring about their own death peacefully and quickly, the right-to-die effort is plagued with controversy. More and more clinicians today are adapting to meet the demands of the digital world and fit into the schedules and lifestyles of clients no longer willing to follow the traditional pattern of once-a-week sessions in a therapist’s office. In a consumer-driven mental health marketplace, individuals with anxiety disorders want services from the comfort of their homes. For veterans living in rural areas, remote group and individual psychotherapy for trauma offers treatment possibilities that weren’t available even a few years ago. But although telehealth has been around for decades, many clinicians are still unsure about the clinical, ethical, and legal issues that emerge as distance therapy becomes a more accepted practice. We're Older. Are We Better? There’s been a decline in the public’s utilization of psychotherapy as a consequence of the rise of what might be called the Gang of Three: DSM, Big Pharma, and Managed Care. Today, we appear to be an atomized and poorly organized field that’s lost economic ground to other approaches promising mental health consumers improved wellbeing. But while recognizing the missed opportunities and missteps we’ve made as a profession, the contributors to our latest issue of the Networker also point to what we need to do to make a more concerted and effective stand to reclaim lost territory. 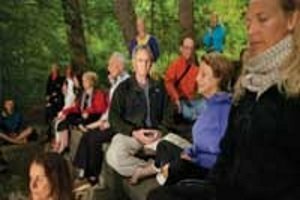 On the 10th anniversary of the publication of Coming to Our Senses: Healing Ourselves and the World, Jon Kabat-Zinn will be the keynote speaker at the 2015 Networker Symposium this March in Washington, DC. He’ll explore the connection between the intensely private experience of living a meditative life and responding to the vast deluge of global and social problems we collectively face. In this interview, he explains the concept of mindfulness, how to practice it, and its role in the world today. In spite of profound historical changes that make us more vulnerable to depression, the entire mental health establishment still regards the condition much as it did more than two decades ago---as an individual problem, confined within an individual skull, best approached with individual therapies or nostrums. In the face of massive evidence that “individual” depression is really a vast social and cultural problem inextricably linked to the habits, mores, and expectations of our era, our tunnel vision is remarkably unchanged. So why do we continually use a relentlessly individualized remedy to fight a socially mediated disorder? A year ago today, we launched the Networker Daily—a blog that we hoped would be a source of digital caffeine for therapists every morning. 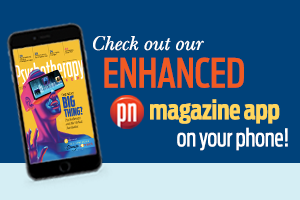 We wanted to strengthen the sense of connection we already have with you and, along the way, inform, educate, and inspire the whole Networker community with news of the latest happenings in Therapy World. Now it’s 12 months and over 300 blogs later. While we’ve received plenty of fan mail, we’ve also gotten more than a few signals that we’ve provided too much of a good thing. Question: I keep hearing that journaling has many benefits for clients. I like the idea, but I’m not sure where to start. How can I integrate journaling into my practice?